Cult Nails is owned and operated by my friend Maria :) Her little company is up and running and turning into a fantastic business already which is impressive. 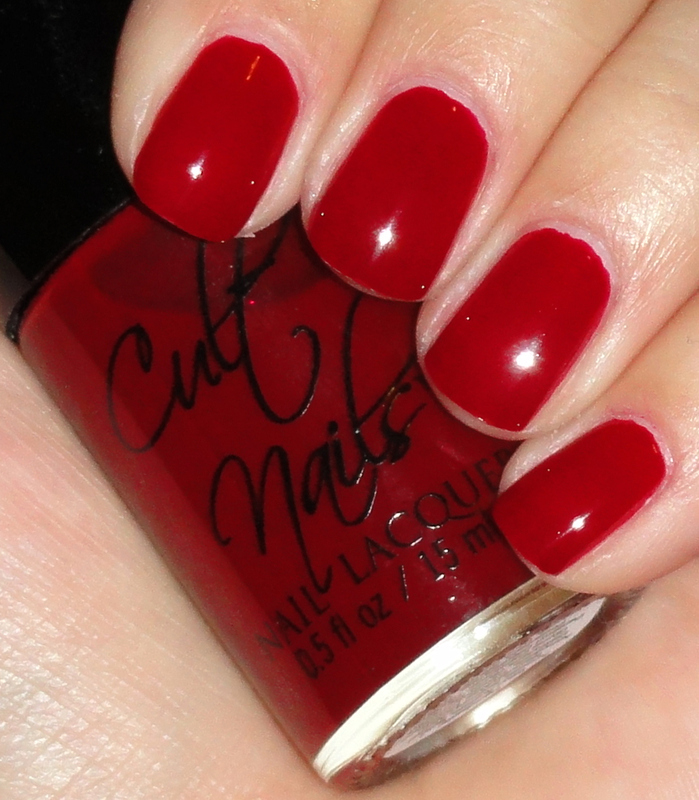 The fourth color she has created is called Quench, a blood red jelly polish. She says the name comes from her love of the show True Blood haha. I've personally never seen it, but I enjoy a vampire reference every now and then. 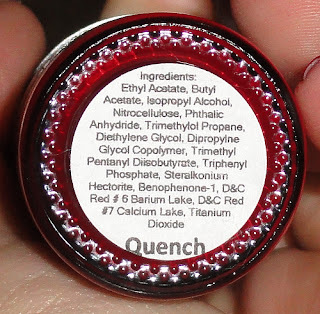 This polish is not unique, of course, but every great nail polish collection needs a great red and this is a great polish. Very shiny and smooth. This is two coats.